Pride National Health Insurance actually now operates under its parent companies name, One Beacon Insurance Group. Under this new moniker, they do not actually offer health insurance, but rather they are in the business of underwriting. 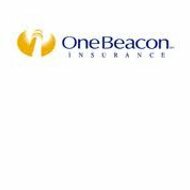 OneBeacon is involved in many areas of insurance that you may deem helpful at some point in your life. They understand that community is the very foundation of American life that needs protection, and therefore they offer entertainment, energy, and educational solutions, among others. If you are looking for health insurance, enter your zip code to find affordable health insurance quotes in your neighborhood! Cast insurance is available if an actor is unable to continue shooting a project in the event of death or any sort of sickness or injury. The costs covered would be any sort of value lost after the actor wouldn’t be able to finish acting in the film. If anything were to happen to the negative film before it could be processed and turned into the final product, these damages would be cover. OneBeacon also understands there would be a ripple effect, to these damages, and therefore the punitive damages associated with re-shooting or recording any of the lost images would be covered as well. If a producer happens to leave out the name of a character or give the proper credit to a slogan, they could be liable for a lawsuit. However, with this type of insurance, you can be covered against any sort of slander or unauthorized use of previously released material. With a near infinite amount of already released creative data, this could be a very wise investment. Since the world is cursed with the knowledge that oil will one day be gone, many are focusing their efforts on alternative energy sources. OneBeacon wants these folks to know that they will have their back as well. If you happen to be in the field of hydroelectric power, solar power, or wind power, you could definitely be a prime candidate for OneBeacon insurance. OneBeacon understands that the education is one of the cornerstones of American culture and the backbone of our future generations. OneBeacon currently operates as the parent company to A.W.G. Dewar who, since 1930, has helped students and their families recover any losses they might suffer due to unforeseen injuries. The design of the fund is to help a family recover 100% of a semester’s tuition, as well as room and board if a student must withdraw from the University for Covered Medical Reasons. There is no cost for a college to participate, however you must actually sign up for the service. If you are college administrator, go ahead and call 617-774-1555 to find out more about this excellent program, and visit http://www.tuitionrefundplan.com/TuitionRefundPlan/pages/college_overview.page? for more information. Over the past decade, the worldwide economy has shifted entire industries to operate over the internet, and OneBeacon wants to let its members know that they will protect them, well into the future. If for any reason at all, your protected data is breached, OneBeacon wants to reassure you that they can help you regain those loses. If the loss takes place on electronic media, or if it is a handwritten note, you will be covered. OneBeacon also will assist with the damages associated after your loss, and reimburse you for any sort of troubles you may undertake in regaining your stature. OneBeacon understands that there are various risks in disposing medical waste and/or equipment that a medical professional may not actually be responsible for, but ultimately, they will be held liable. That’s why OneBeacon is committed to having your back in events such as, improper removal of debris, and will cover any loss up to a quarter of a million dollars. Any sort of spillage that happens while in transit or spoilage of medical equipment due to a change in temperature or contamination will also be covered by the policy. Find health insurance quotes in your local area today! Enter your zip code here.